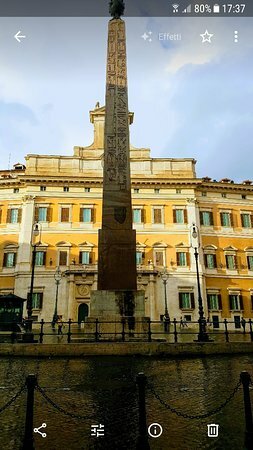 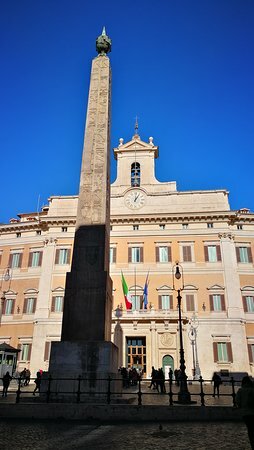 A beautiful Red Granite Obelisk from Heliopolis in the heart of Rome. 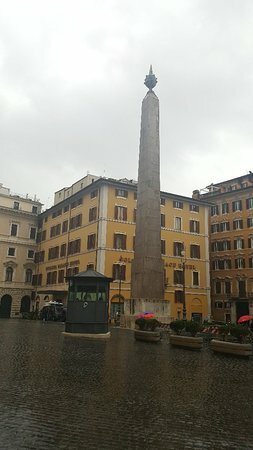 Egyptian obelisk at the center of the square built around 590 B.C. 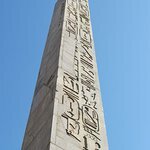 and brought here during the Roman era from the city of Heliopolis. 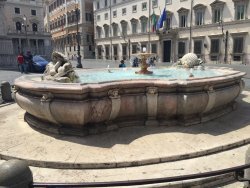 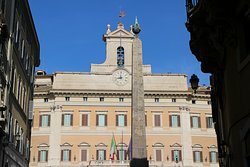 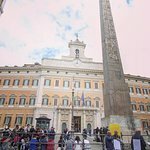 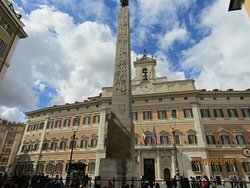 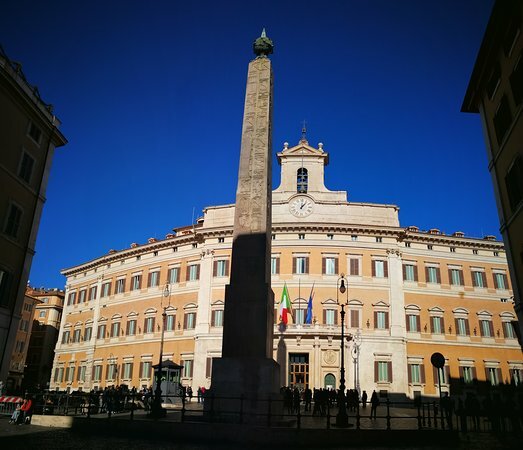 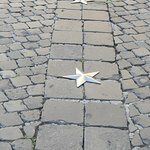 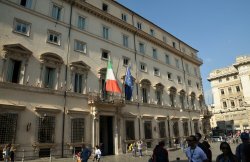 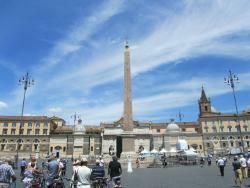 It is located in front of the Palazzo Montecitorio. 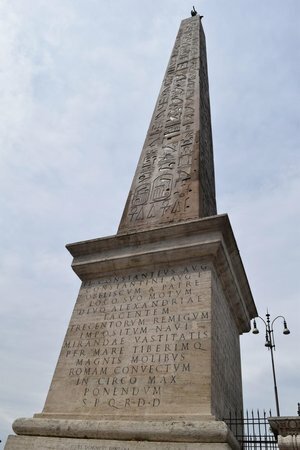 This red granite ancient Egyptian obelisk was brought back from Heliopolis in 10 BC by Emperor Augustus to be used as a sundial of the Solarium Augusti. 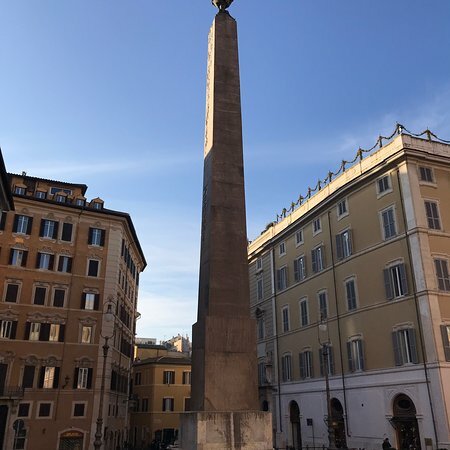 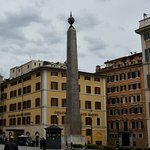 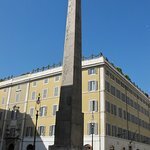 This obelisk is also known as the Solare Obelisk. 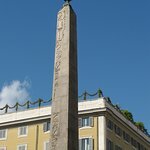 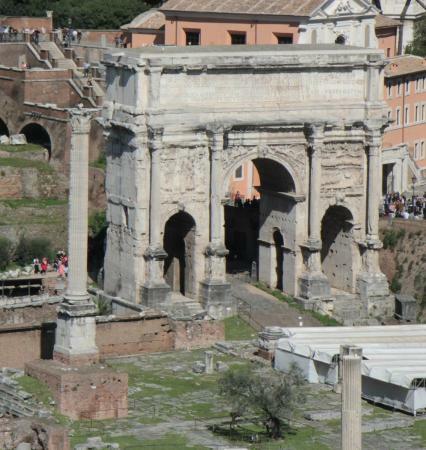 Passed this on our way through the streets after seeing the columns of Hadrian. 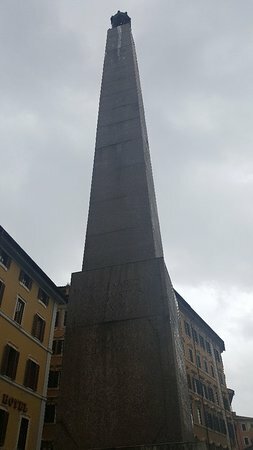 An excellent obelisk and worth taking a detour to see it (if not going right past!). 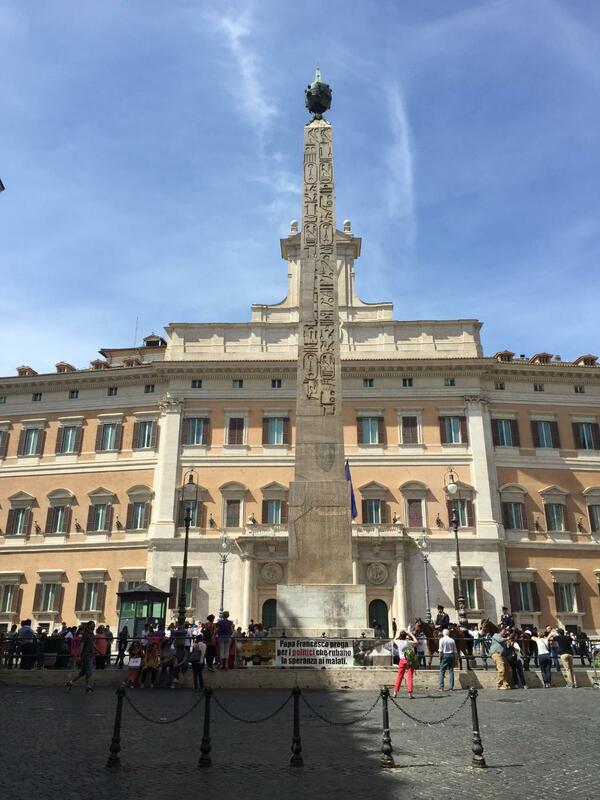 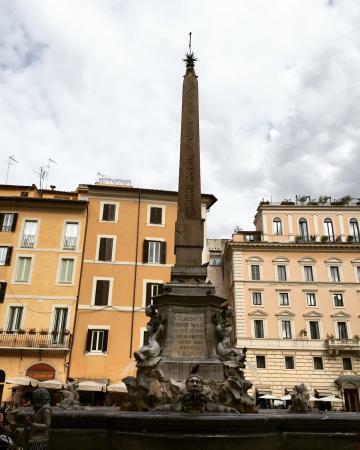 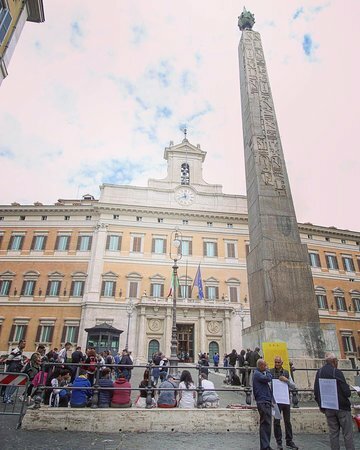 Get quick answers from Obelisco di Montecitorio staff and past visitors.